The Great Pyramids of Egypt, have long been a source of mystery and intrigue. Built as tombs to the great Pharaohs, the pyramids were believed to possess supernatural powers in helping to lead the rulers into the afterlife – and some believe that pyramids continue to display powers far beyond our understanding. When examining the inner chambers of Egyptian pyramids, explorers were stunned when they found that stray cats that had become lost in the tombs mysteriously were perfectly mummified. One of these explorers, Monsieur Bovis of France went home and constructed a scale model of the pyramid. When he placed a dead cat in this model, it mummified perfectly. Further experiments over the years found that razor blades placed inside of a scale model of a Cheops pyramid retained sharpness much longer than normal. It was also found to keep food fresher, tenderized meat, and aided in reducing headache pain – and possibly increased sexual ability. It was believed that pyramid somehow caused polarized microwave signals which could be channeled in a form of electrical power. As part of the American way, when these discoveries became known, plenty of aspiring entrepreneurs sought to make a fortune surrounding these mysterious propertied. 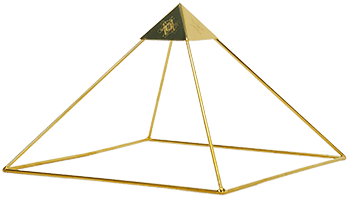 “Pyramid” products popped up, including Pyramid tents, blade sharpeners, and energy generators. While these gadgets and claims may seem to incredible to be true, a number of books and magazines alleged that these effects were real. Real or not, the fad basically came and went in a few years.